ProTech Machining, Inc. in Litchfield, MN is a precision machining & tooling shop with over 40 years of combined experience. 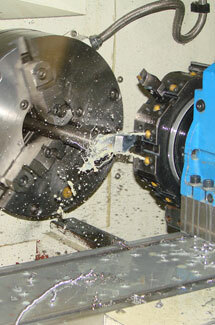 We are a full service, modern shop, with CNC machining and turning centers to wire and sinker EDM machines. From small orders to long production runs, ProTech Machining has the equipment, technology, and experience required to provide you with the quality products and service you need.